Group 2 is back in Bishkek with some great results! But before we get to that, I want to share a bit more about our two weeks in the Tien Shan. Thanks to group 1’s efforts at digging away the snow on the mountain pass, group 2 was able to drive the eastern route to get to base camp. Once at base camp, we had a quick tour before setting up our tents. After all the necessary methodology and gear training on Tuesday, we got up on Wednesday ready for a good day out in the mountains. Our plans were quickly changed though thanks to a sudden snowstorm on our drive up to the valley. We took great advantage of it though with a surprise snowball fight! Once back at camp, we decided to head down the valley where it looked dry and have our first day out in a valley called Tuyuk. Our next day also was a “weather” day … even though it started out with perfect weather! Once we reached the top of the valleys we were in and began setting up camera traps, the weather changed for the worse. Both groups experienced snow, hail, rain, high winds, and lightning on their way back down the valleys. We were very grateful to Gulya who had started a fire in the yurt to help us all warm up and dry out. Of course, the weather wasn’t quite over as we had an awful wind storm in the middle of the night, one that I was worried may be a repeat of last year’s storm that destroyed our mess tents. Thankfully, our new yurts held strong and there wasn’t any damage to the camp. With such a tough start to the expedition, we were nervous that each day would be the same, but after the storm, each day was beautiful! We had wonderful trekking weather that allowed us to reach the glacier’s edge almost every day to look for signs of snow leopard, ibex, marmot, and other species. Closer to the end of the two weeks it was time to start collecting the camera traps installed during groups 1 and 2. This is where we get to the results! Over our two weeks we covered 35 cells, 26 of which had signs of snow leopard prey species found in them. On the very last day, we finally got an ibex sighting! A total of 41 bird species and 23 butterfly species were recorded, some for the first time in our study area. However, the grand finale of all information is that we have finally managed to photograph a snow leopard with a camera trap in Chong Chikan valley! What a way to end our fifth year in the Tien Shan. My thanks goes out to group 2 of David, Pat, Jan, Anette, Christine, Hans, Jo, Jerred, Bec, Berni, Kathrin, Ralf, and Buyanaa. Thank you for the effort you put in during our two weeks together. And to everyone that was involved in this year’s work, including group 1 of course. You could have gone to a beach somewhere, but instead you were with us up in the mountains in Kyrgyzstan, getting rained, snowed, and hailed on (sometimes) and “suffering for science”. 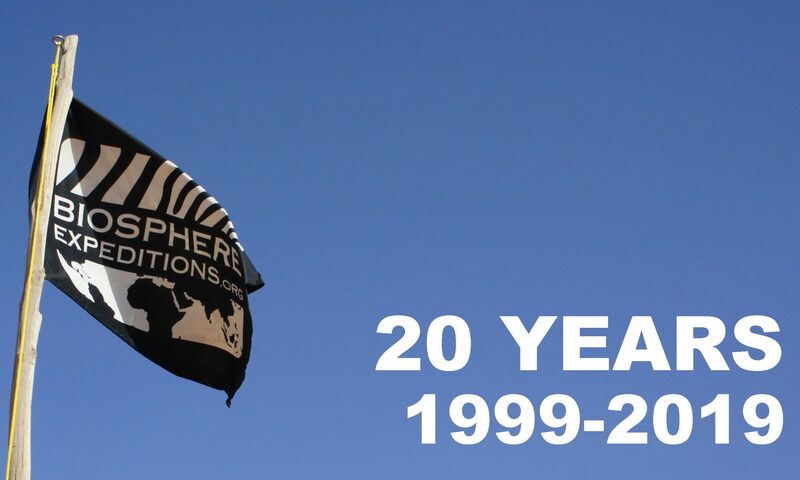 Your passion and concern for snow leopard conservation here is much appreciated, and even though two or four weeks seems like a short time, I am proud to call you all dear friends. I hope someday during this incredible journey of life that our paths will cross again. Thank you as well to Volodya, Bek, Beka, and Gulya, without whom we’d have no idea what to do, where to go, and would always be hungry. 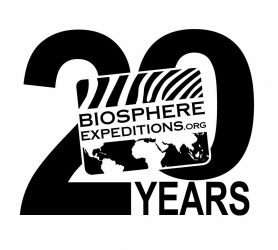 And to Biosphere Expeditions, thank you for providing the opportunity for people from around the world and with a wide range of skill sets to bond together, not just over the idea of snow leopard conservation, but over the struggles, challenges, joys and triumphs of snow leopard conservation!